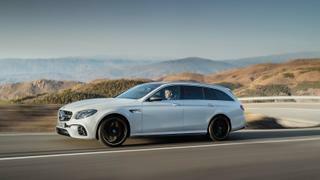 Mercedes-Benz has been bringing wagons to the US for decades, but while those early models featured slow, smoky and clattery diesels, this one sports an outrageously potent supercar-worthy twin-turbocharged V8 that allows it to accelerate as quickly as a Ferrari California, and keeps going up to 180mph. Definitely opt for wood over carbon fibre trim for a dash of traditional elegance. Porsche is an upstart in this category. The brand has never made a factory production wagon before. But for an upstart, this is a great place to start, with an extremely fast version of its fastback sedan. 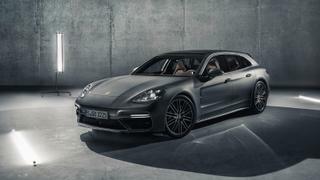 The regular Panamera is already a hatchback, but this iteration elongates the roofline. Cargo space increases, as does passenger room. A third seat in the back allows one of your kids to invite a friend. 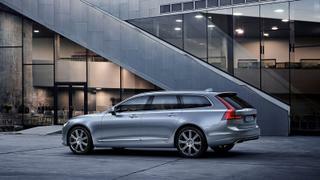 The Volvo brand is almost synonymous with wagons, but this one requires a special order. You can either spec it out online and have it sent to your local dealer, or you can go to Sweden and pick it up at the factory. If you choose the latter, Volvo will send you two plane tickets to Torslanda, along with a hotel reservation. Either way you win, because the vehicle has pure lines, a handsome interior and is stunningly stylish and Modern (with a capital “m”).